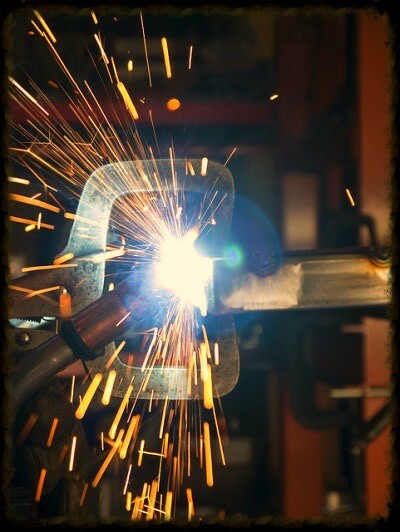 Wikipedia says…Welding is a fabrication or sculptural process that joins materials, usually metals or thermoplastics, by causing coalescence. In my imaginings…This is the point of contact between Gods’ judgement and Gods’ grace. His judgement strips away what shouldn’t be part of us while His grace welds the mitered edges of our life back together… “joining materials” (With His Spirit through love, grace, instruction, correction, etc) “causing coalescence” (to grow together; to unite into a whole). God does not want us “bolted” together. When things are bolted, each piece still remains separate. God wants us welded together with Him, into a whole…complete and lacking nothing. James 1:4(MSG) Let it (patience) do its work so you become mature and well-developed, not deficient in any way. A good welder takes time, has an effective tempo and a pinpoint accuracy. John 14:26(AMP) But the Comforter (Counselor, Helper, Intercessor, Advocate, Strengthener, Standby), the Holy Spirit, Whom the Father will send in My name [in My place, to represent Me and act on My behalf], He will teach you all things. And He will cause you to recall (will remind you of, bring to your remembrance) everything I have told you. Remember…Gods’ weld cannot be broken.